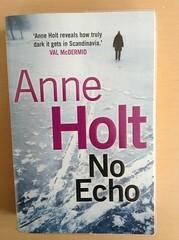 More Scandinavian sleuthing by Oslo Chief Inspector Hanne Wilhelmsen. We meet Hanne in Italy where she fled on the death of her partner, Cecilie. Back in Oslo, fellow Chief Inspector Billy T is holding the fort in her absence, but struggling with work and chaotic home lives (plural). When the body of a celebrity chef is found on the steps of the police HQ, Billy T’s world starts to unravel. Things only get more complicated when it turns out that Brede Ziegler had been murdered twice over. And then Hanne returns, which only serves to rub salt into his emotional and mental wounds. I particularly like that on the opening page of this novel, we encounter Hairy Mary, the oldest whore in Oslo. We get to learn a lot more about Mary who, as Hanne eventually realises, is the key witness to this confusing crime.